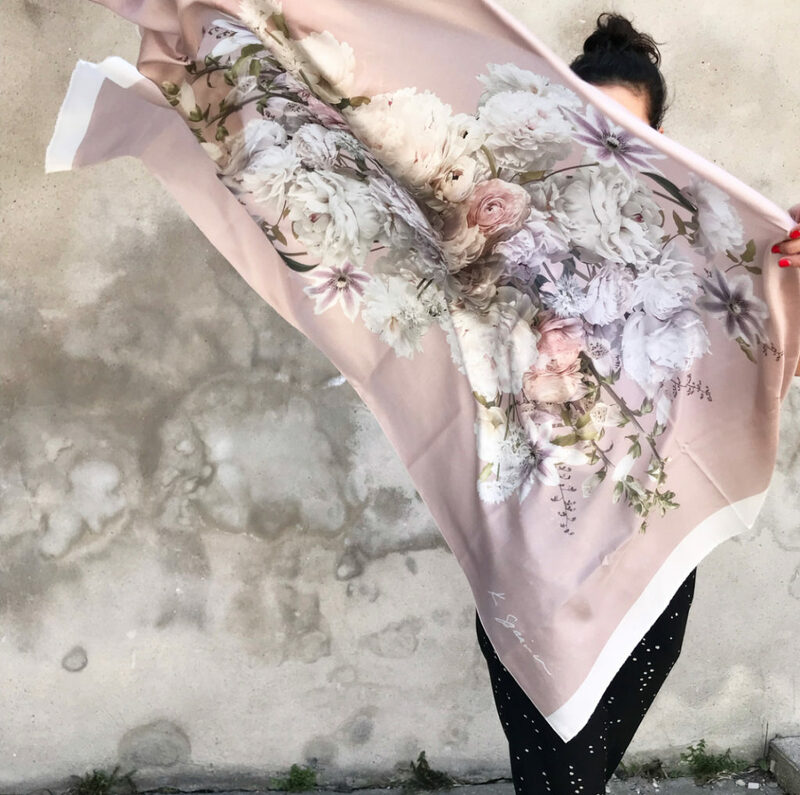 Silk Floral Wearable Art – new at Bradshaws! 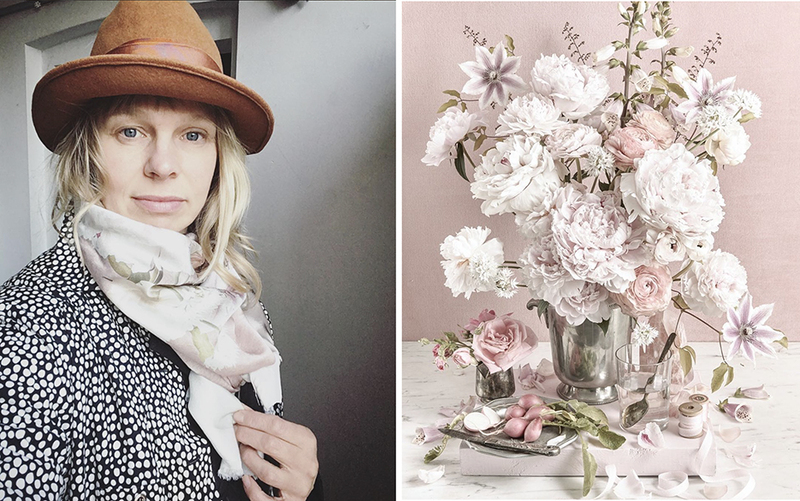 New to Bradshaws, the most stunningly gorgeous silk scarves from Artist and Photographer Kristin Sjaarda. 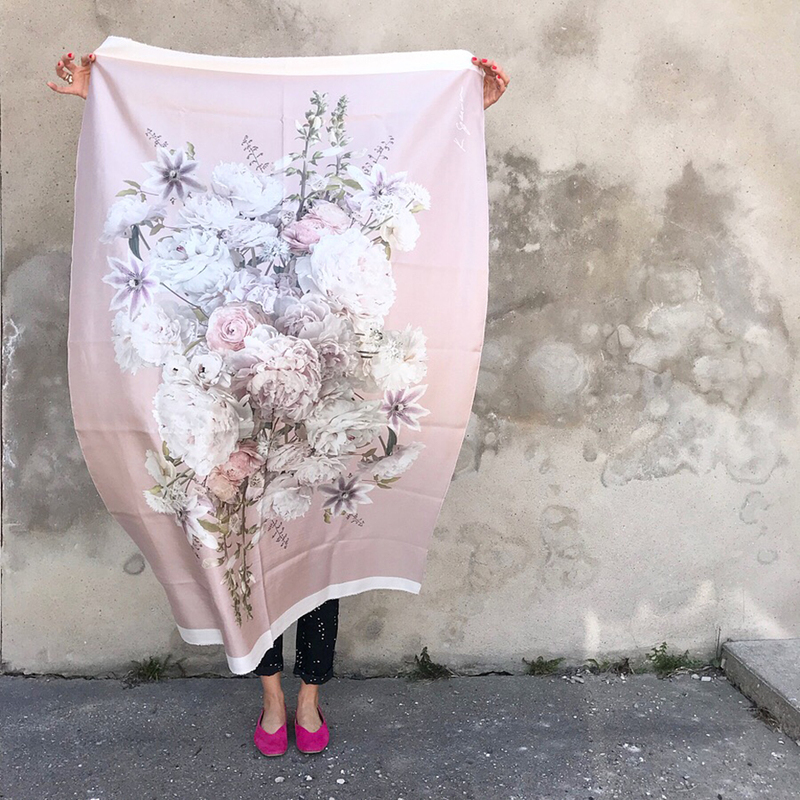 Truly exceptional, these silk scarves are printed with one of Kristin’s masterpieces, The Pink Peony and Clematis still life photo she styled from flowers she grew in her own garden. It’s invigorating to find an object of both art and fashion that is unique, original and created by a true artist. 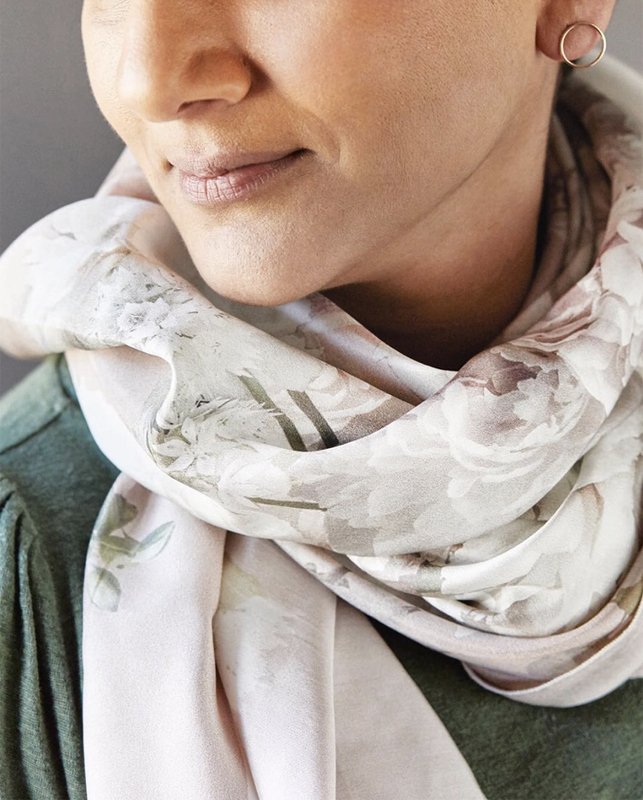 These scarves are a beautiful statement piece that can be worn, draped over a bed or framed. When asked what inspires her, Kristin noted that she is continually inspired by dutch painting, her garden, the creatures that depend on her gardens and her neighbourhood where people and nature thrive in a dense metropolis. The natural flora and fauna in her local Toronto neighbourhood serves as Kristin’s pieces of her beautifully arranged still life compositions. 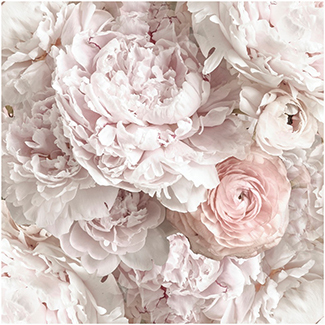 True to the manner of the Old Masters, Kristin takes flowers, insects and birds that live around her and photographs them together as they would be in nature. The silk scarf is photographed, printed and sewn in the GTA. It’s easy to care for, just hand wash and hang to dry. It can double as a wall hanging if you just put 2 screws in the wall about a yard apart. attach the scarf with small magnets. Made from 100% habotai silk, they are easy to care for. Just hand wash and hang to dry! The large scarf is 52′ x 36′. A second version comes in a sweet pocket square size, that we love tied around the handle of our new UASHMAMA tote bags. Wear it around your neck a-la airline stewardess. around your wrist, or as a pocket square for a dapper groom, especially if the bride is carrying peonies! The woman behind the camera, Kristin Sjaarda.